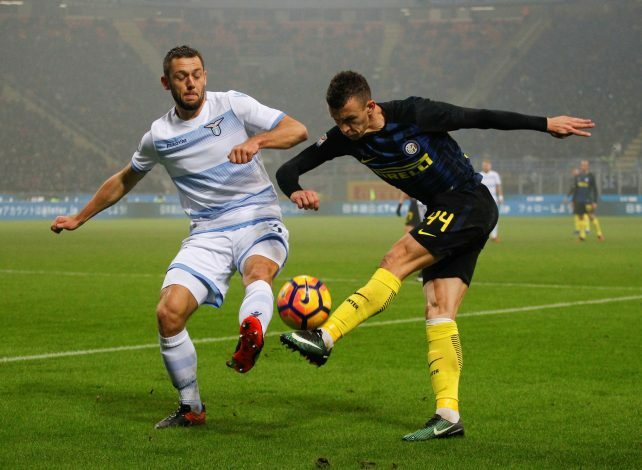 Chelsea have been brilliant at the back under the management of Antonio Conte, but reports suggest that the Blues want more reinforcements in the form of Stefan de Vrij, as per Gazzetta Dello Sport. Reports coming in from Italy have suggested that Conte wants Dutch international De Vrij to join him at Stamford Bridge. The central defender’s contract with Lazio runs out in June next year. With no extension signed so far, it is highly likely he will move this summer. This will reportedly lead to a battle between Chelsea and Manchester United for the 24-year-old’s signature. Last month, SW via Il Messaggero reports suggested that the former Feyenoord defender is ready to leave Lazio to join Jose Mourinho at Man United. He was heavily linked with United during Van Gaal’s tenure at Old Trafford as well, but despite the duo’s connection from Van Gaal’s time as the Dutch National Team manager, the move never happened. Even though he was linked with Mourinho again last month, the possibility of a move remains to be seen. The Portuguese has already splashed £30 million for Eric Bailly last summer. And with enough bench strength that can be solid on its day, this move seems less likely. Conte, on the other hand, is likely to do away with John Terry and Branislav Ivanovic. David Luiz and Marco Alonso, both summer signings, have shined under the former Juventus manager, but he would certainly want a more solid and long-term back-up like De Vrij.